Please note : Dave’s Bar is now open. For those of you who have looked at this site before, you will know that it is a little unconventional. 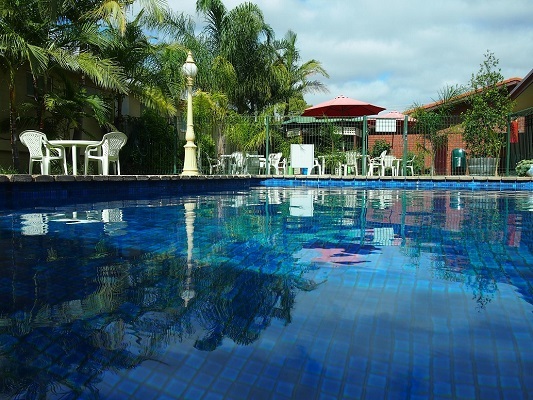 The main thing is that we write a blog every now and then, rather than just give you the same old rubbish about how good our rooms etc are, like every other motel. That information IS on the site, but we prefer to be a bit different from the start. 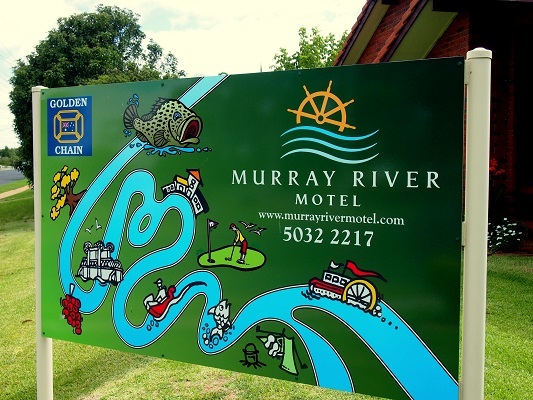 There is a whole new era beginning at the Murray River Motel in 2017. After almost ten years, Peter & Kathy are handing over the reins, and moving into the semi-retirement phase of their lives. We wish them well. More importantly though, we want to assure all the loyal guests, and the new ones, that we aim to run the motel in the same friendly way that the previous owners have done so successfully. We are Justin & Jean Taylor, and we have a young daughter, Georgie. We are excited about the challenges that lie ahead of us and about meeting a whole new world of people. We are new to this industry, and jumping in head first. As time progresses we will inevitably implant our own stamp on the motel, however any changes will be subtle and always with the guests’ best interests in mind. For the time being it will be “business as usual”. The motel will retain it’s personal touch in the rooms which makes us different from so many other motels that you may have stayed at. We invite you to be the judge.You be the judge. Our rooms are fresh, clean, and comfortable, with everything in them that you may need. We pay attention to those little things that are so often overlooked. As has long been a Murray River Motel tradition, we make our guests feel welcome, more often than not by joining them in Dave’s friendly Bar for a drink, or one of our freshly made-to-order pizzas. We are not the lowest priced motel in town, nor are we the most expensive. Low prices usually mean “cheap”, and guests should be aware, particularly if motels offer added inducements to stay, like complimentary breakfasts etc. We truly believe that our prices offer by far, the best value in town. If you don’t believe our claim then please talk to us. We have many testimonials from happy guests who have stayed over the years. While you are here, be sure to check out our red gum reception desk top, and Dave’s bar. Both slabs of Australian red gum were crafted by Kel Barton from Barton Timber in Victoria’s Kiewa Valley. Red Gum timber is iconic in the Murray River regions. Our fabulous breakfasts, and our freshly made-in-house Murray River Pizzas, are world famous (maybe that’s a slight exaggeration). Both can be delivered to your room, or enjoyed in the ambience of Dave’s friendly bar. We also provide nibbles during happy hour in the bar between 5:00 and 6:00pm daily. 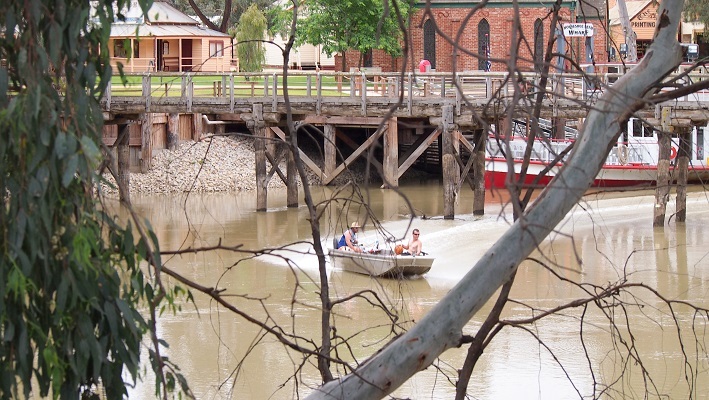 We would love to meet you on your next trip to Swan Hill, whether it’s for business or pleasure, long term or overnight. Please give us a call and enquire about availability. If you prefer you can go to the booking button on the web site, or simply fill out the enquiry form on the contacts page and we’ll be in contact with you. Remember, always book direct, rather than through an online booking agent. Many people aren’t aware that online booking agents receive a commission from the property, which can impede our ability to better look after our guests. 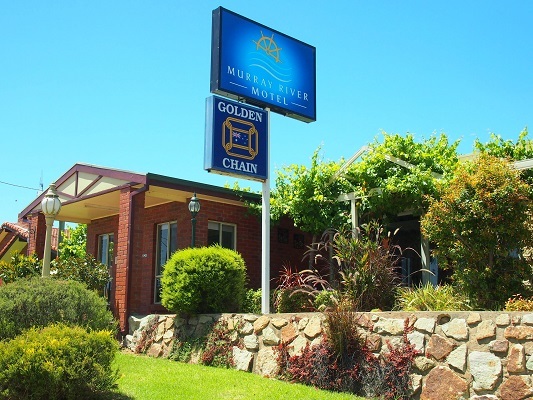 The Golden Chain motel group, which we are a proud member of, is the largest such group in Australia. Join up for free when you arrive and start to enjoy the loyalty benefits, free competitions and discounted rates when you book direct, at any Golden Chain property throughout Australia, the Pacific & now Indonesia. Ask us about a Gold Link card when you get here.